Well, I had a lot of praise for the Samsung Galaxy Buds when discussing Apple’s upgraded AirPods last week. Of course, the praise is just from what I heard. I was really excited to try these things out. However, they’ve been a disappointment. I’m not convinced one should buy these over the AirPods 2 or any other earbuds. The packaging — at least — looks great. 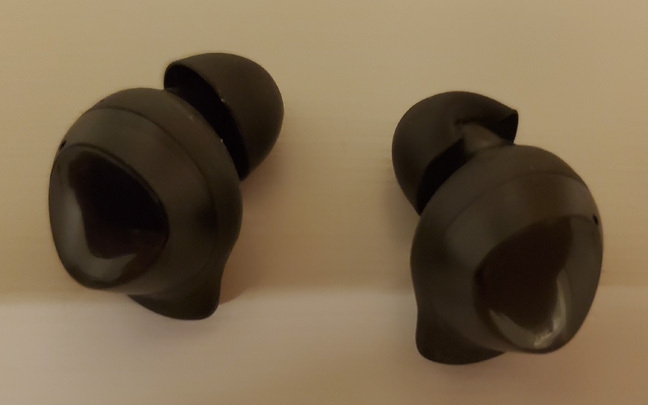 The Galaxy Buds feel solid, even though they are made of plastic. They remind me of Bose’s Sleepbuds. And they have plenty of great features, like the ability to be wirelessly charged. The case these buds come in looks like a small pill box. But it is so thin that it easily falls out of your pockets. And when the case does fall out of your pockets, the earbuds eject from the case. I don’t think Samsung thought much about the logistics of this. 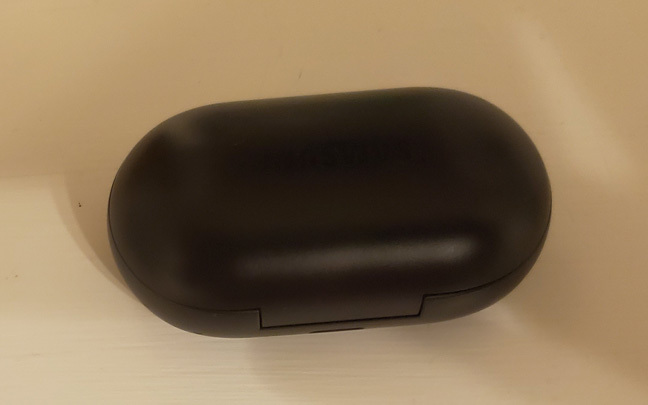 The "case" the Galaxy Buds come in is easy to lose. However, the biggest problem with the Galaxy Buds is quality. I’ve been pairing them (and the pairing is simple) with the Galaxy S10+. Unfortunately, the sound quality is quite mediocre. There is some good bass — even more than there is on the AirPods. There is also a decent amount of treble. But there’s not much of a separation of the sound spectrum, and you can really notice this when you turn the volume up. The Galaxy Buds end up sounding like cheap headphones from Koss that you would buy at Marshall’s (no offense to anyone who shops there). Nobody expected these to be audiophile quality, but the sound really is shockingly cheap. Of course, others don’t agree, and it’s true that I only tested them with one phone. But the Galaxy S10+ is Samsung’s flagship phone, and if it doesn’t sound good on that, I’m betting it’s not better on other smartphones. I have used the buds on two Windows 10 laptops and noticed a lot of latency that I never experienced while using the AirPods. The Galaxy Buds also fail at making phone calls. The voice quality has been barely passable. Picture yourself talking with someone putting a thick rubber filter in front of your mouth. That’s how you will sound to your listeners, who do sound decent from your end. If your conversations last more than a minute, you’ll end up in deep frustration. All hope is not lost for Samsung’s latest earbuds. A later update could fix some of the main sound issues. But don’t count on it. Samsung’s Galaxy Buds prove that you get what you pay for. And while the $129 price tag is affordable, the quality is definitely lacking. 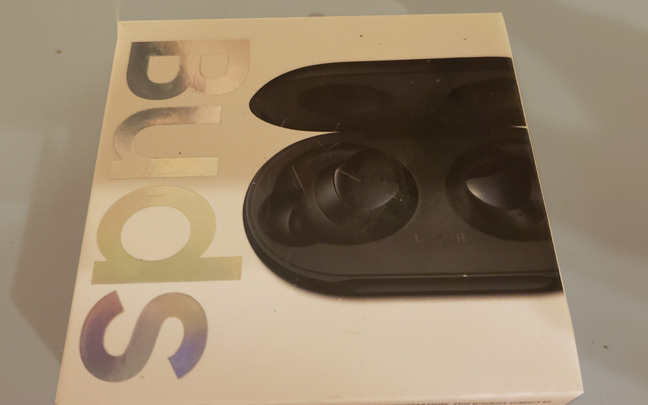 This entry was posted in Review and tagged AirPods, Samsung Galaxy Buds. Bookmark the permalink.